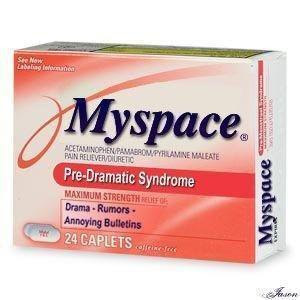 Maximum Strength Myspace Pills - Good for the relief from Drama, Rumors and Annoying Bulletins. Id like some of these please. I wonder if they are over the counter or you need to see a doctor for a prescription.